 Stuart's enjoyable second novel (after Men in Trouble, 1988) is a lighthearted look at the coming-of-age of two rebellious WASPs. Lizzie Stuart spent her childhood in the liberal intellectual confines of Concord, Mass., ``amid the fires of Women's Liberation, and emerged unsinged.'' Nor did her four years at Harvard turn her into a member of the intelligentsia. (She thinks her new job in the Department of Corrections has something to do with correcting forms.) Lizzie has only two interests in life--men and marriage. Her enthusiasm for the jobs she is offered in bewildering abundance (considering her almost heroic ineptitude) hinges directly on the number of eligible males who work there. Lizzie embarks on an often hilarious romp from job to job and man to man. There's excruciatingly stuffy Hills Todd, ``the most eligible bachelor in Cambridge''; Tom Koch, an intense (married) reporter; and Roger Stoner, who is ``everything she always detested in a guy: athletic, assured, unscrewed up.'' For his part, Roger is charmed by her wacky wit and offbeat style and falls hopelessly in love. Although Roger and Lizzie marry, Roger turns out to be anything but unscrewed up. After an apparently blissful year of marriage, he announces that it's ``just not working out'' and leaves. Nothing in Lizzie's life is that simple, though, or that sad. 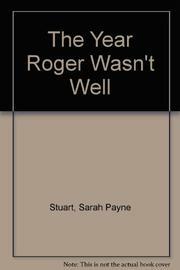 She and Roger spend the next year on a roller coaster of reconciliation and separation. It's a year of self-discovery, too, as Lizzie learns that she can be successful in a career and survive without love. Roger learns that he has feelings and the power to improve his life. Stuart moves easily from sassy humor to the flat-out good times of youth to a gentle probing of her characters' humanity. An engaging portrait of two young people caught in the unique era when the '60s were ending and the ``Me Decade'' was just getting underway.